A multi-talented actor who is recognised for his leading role in Luca Guadagnino’s Call Me by Your Name, based on the novel of the same name, by André Aciman. His role in the film was much appreciated by critics that earned several nominations including an Academy Award for Best Actor. He was also nominated for a BAFTA Award, a Golden Globe Award, a Screen Actors Guild Award, and a Critics’ Choice Movie Award for Best Actor for his work in the film. He also starred in the film Lady Bird in 2017 and not to mention his performance in Interstellar and Hostiles. He also had his recurring role as Luke in Royal Pains. Timothee Chalamet was born on 27 December 1995, in New York City, New York, United States. He’s currently 22 years old. He’s French, half Russian Jewish and half Austrian Jewish. While pursing high school, Chalamet joined the Fiorello H. LaGuardia High School of Music & Art and Performing Arts and graduated in 2013. There he appeared in several of their productions which helped him to enhance his acting skills and to get to where he is of today. Chalamet enrolled at Columbia University straight out of high school. After a year of studies, he later transferred and briefly attended NYU Gallatin School of Individualized Study in order to more freely pursue his acting career. Timothée Chalamet dated Lourdes Leon, the daughter of pop icon Madonna, for over a year in 2013. Unfortunately, we do have any information on Timothée’s body specs like chest, biceps and waist. 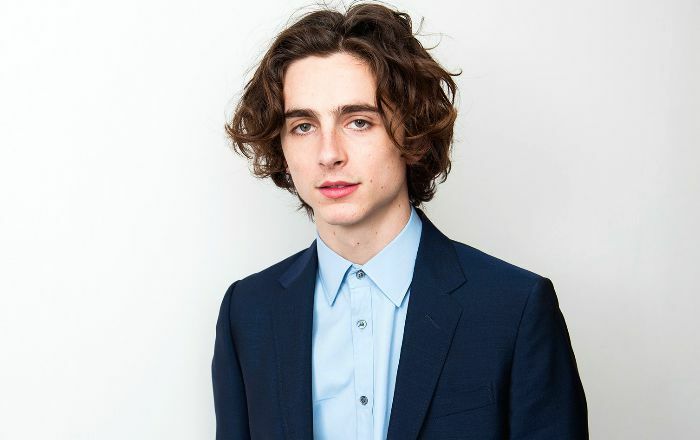 Timothée Chalamet made his theatrical debut in a minor role in Jason Reitman’s critically panned Men, Women & Children for his role as Danny Vance. The film had its theatrical release in 2014. Following that, he portrayed role of Tom Cooper, the son of Matthew McConaughey’s character, in Christopher Nolan’s Interstellar. His first leading role was with Luca Guadagnino’s Call Me by Your Name, based on the novel of the same name, by André Aciman, in 2017. His performance in the film was highly lauded by critics and largely received positive acclaim, which earned him nominations for the Golden Globe Award for Best Actor in a Motion Picture Drama, Screen Actors Guild Award for Outstanding Performance by a Male Actor in a Leading Role, BAFTA Award for Best Actor in a Leading Role and the Academy Award for Best Actor, among numerous awards. The film grossed $30 million against a production budget of $3 million. In 2009, Timothee played Eric Foley on the NBC police procedural series Law & Order in an episode title ‘Pledge’. The actor is noted for his performances in films like Homeland (2012), Call by you Name (2017) and Lady Bird (2017). His net worth is estimated to be $1 million US dollars as of 2018. Growing up, Chalamet spent his childhood summers in France and thus he is fluent in French. To play the role of an young Italian man, Timothée learned to speak Italian, play the guitar, and practiced playing the piano. He is a big fan of AS Saint-Étienne. For his performance in ‘Lady Bird’, he received nominations for a ‘SAG Award’ and a ‘Critics’ Choice Movie Award’. In October 2017, he revealed that he would be donating his entire A Rainy Day in New York salary to the Time’s Up initiative against harassment and assault, LGBT Center of New York and RAINN. He made this after sexual assault allegations against Woody Allen. He has many movies lined up for release in 2018 including Beautiful Boy, A Rainy Day in New York and The King.